It's so good, it helped ME sleep better at night. 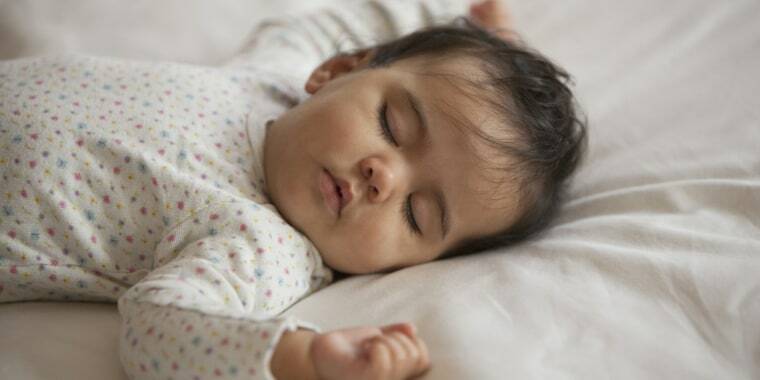 Any mom will tell you that the topic of babies and sleep is a sensitive subject. Between noise machines, pacifiers and rocking basinets, the market is filled with gadgets available to help you soothe baby back to bed (not to mention an exhaustive amount of books, articles, and methods on sleep training). All of this is enough to drive any sleep-deprived mama or mama-to-be over the edge. But with all the gear and advice available (and trust me, I’ve tried almost everything), there was one product that seemed to be the key for getting my daughter, Sybil, to sleep soundly, safely and comfortably. And it ultimately gave me enough peace of mind to do the same. The sleep sack also comes in fun patterns. Once Sybil’s swaddling days were over (my little Houdini didn’t last long in these), we switched her to a wearable blanket. After testing out a few different styles, we grew to love the sleep sacks from Kyte Baby. The benefit of a wearable blanket is that it can’t be pulled up around her mouth (a suffocation hazard) or kicked off at night. But not all sleeping bags are created equal. For me, the idea of overheating was (and still is) a major concern. Which brought me to Kyte Baby. Founded by Ying Liu, a mom whose child suffered from chronic eczema, these sleep bags are made from bamboo rayon, a hypoallergenic material that is three degrees cooler than cotton. My daughter seems to love the soft fabric, and the breathability aspect really put me at ease. The sweet patterns and the double zipper feature were icing on the cake. My daughter will be turning two this winter, and while she’s probably big enough to use a blanket now, we have no plans to give up the sleeping sack anytime soon. Luckily, the biggest size is designed to last through 36 months (and even beyond if you undo the zipper at the bottom). Why mess with a good thing, right? A version of this article was originally published on Jan. 5, 2018.